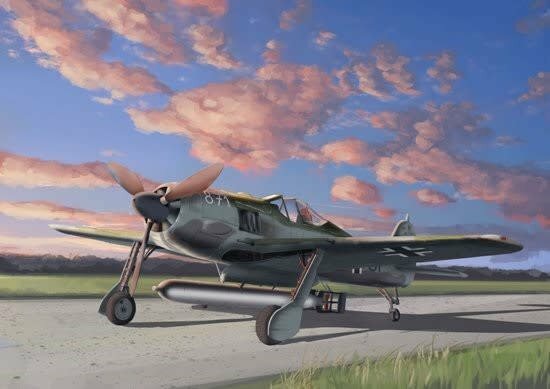 Dragon’s Master Series of 1:48 Wing Tech kits now features a new 1/48 scale kit of a German Focke-Wulf Fw190 variant. 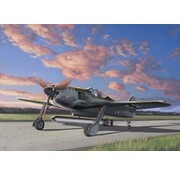 The plane in question is an Fw190 A-5/U14. This type was designed to carry a single LT F 5b air-launched torpedo. The weapon was carried under the belly on the ETC 502 rack. 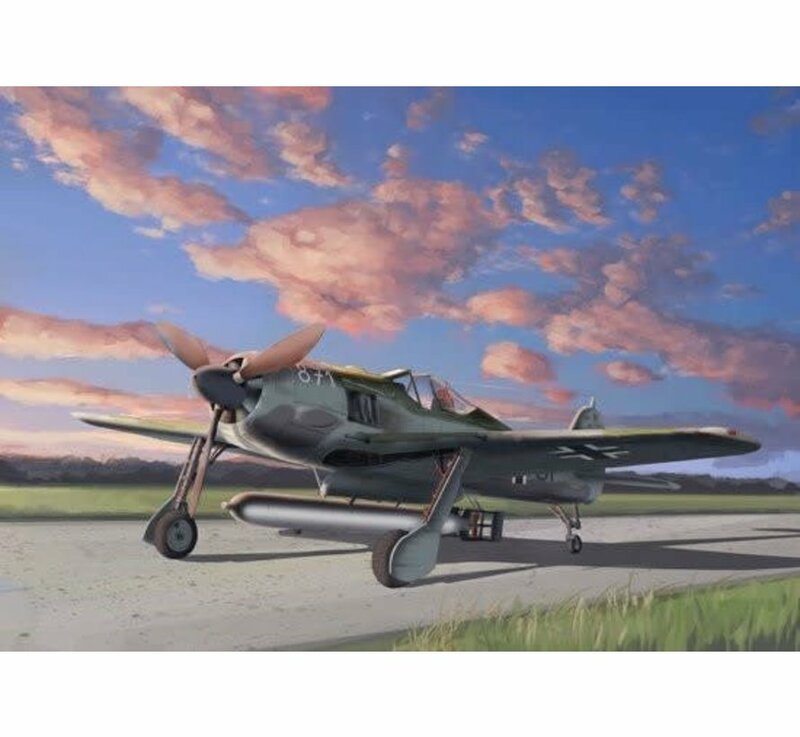 To accommodate the payload and prevent it from scraping the ground, the Fw190 A-5/U14 had a heightened tail wheel strut. 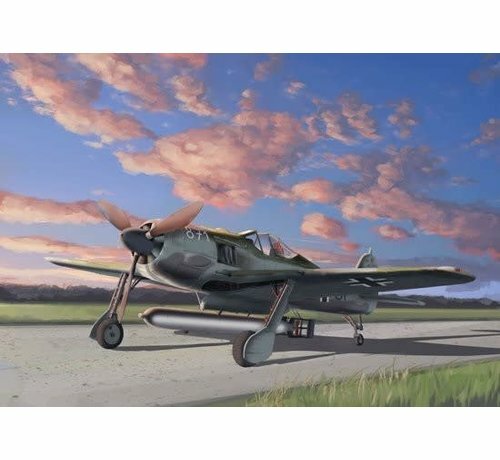 This new 1/48 scale kit is obviously based on Dragon’s highly acclaimed Fw190 fighter series. However, it comes with new tail wheel strut to suit this particular variant and also geared with the detailed torpedo. Detail on this kit is finely executed, with true-to-scale panel lines carefully represented. All the minute detail inside the two-man cockpit can be easily viewed through the clear plastic canopy too. This was a rare variant of the Focke-Wulf and, with the torpedo mounted underneath the fuselage, this German fighter looks mightily impressive and lethal.